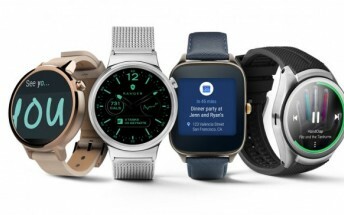 Today Google has released Android Wear 2.0 Developer Preview 2. The first preview went out back in May, on the day Android Wear 2.0 was introduced at the Google I/O conference. Just like the first one, the second release is aimed squarely at developers, introducing new things for them to test and use in their apps. The API level has been incremented to 24, to match Nougat, and Wearable Drawers have been enhanced. The highlight, however, has to be the fact that as of this preview, developers of third-party apps have gained access to wrist gestures. These have been used in the notification stream since 2015, but now third-party apps will be able to offer this type of one-handed navigation. If you're a developer you can test this preview on the official Android emulator, on the LG Watch Urbane 2nd Edition LTE, or the Huawei Watch. Hit the Source link below for full getting started instructions.